Home background about the aircraft The A-10 Thunderbolt II is an American single-seat, twin-engine, straight-wing jet aircraft developed by Fair child-Republic in the early 1970s. The A-10 was designed for a United States Air Force requirement to provide close air support (CAS) for ground forces by attacking tanks, armored vehicles, and other ground targets with a limited air interdiction capability. It is the first U.S. Air Force aircraft designed exclusively for close air support. Quality EPO Material, scale war bird aircraft. Ready to fly with installed servo and speed controller. (Requires: 4 channel transmitter) with ailerons, stabilizer, rudder And motor control. 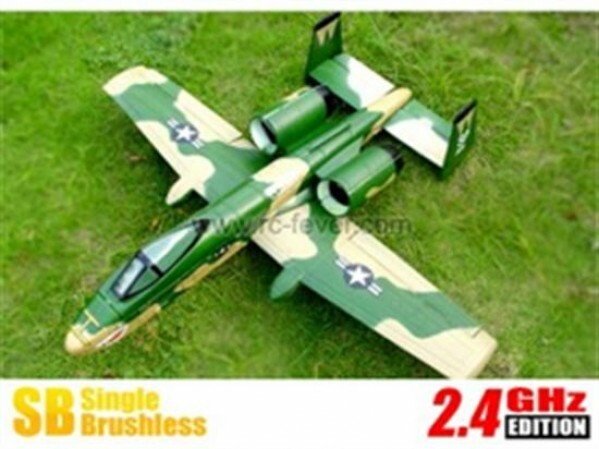 Easy to fly with strong power, short distance take off.